Let your users have more freedom! 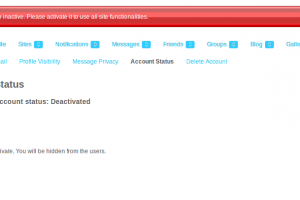 BuddyPress Deactivate Account plugin allows users to deactivate/reactivate their account on a BuddyPress based social network. 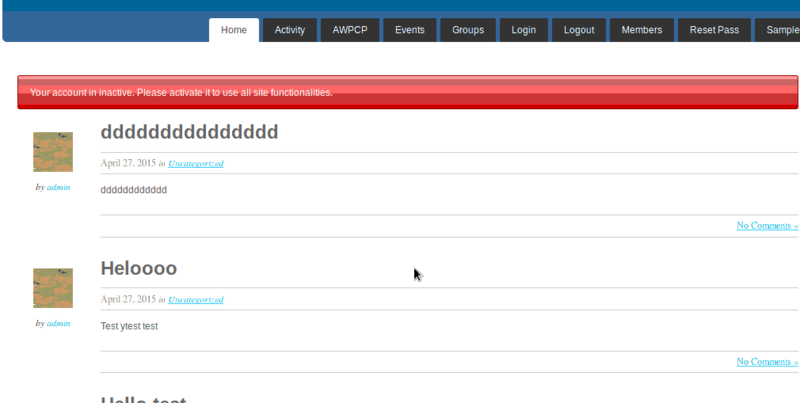 With this plugin, you allow your users to remove themself from any social activity or visibility. 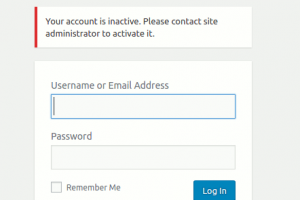 This plugin allows them to reactivate their account later without loosing any data. 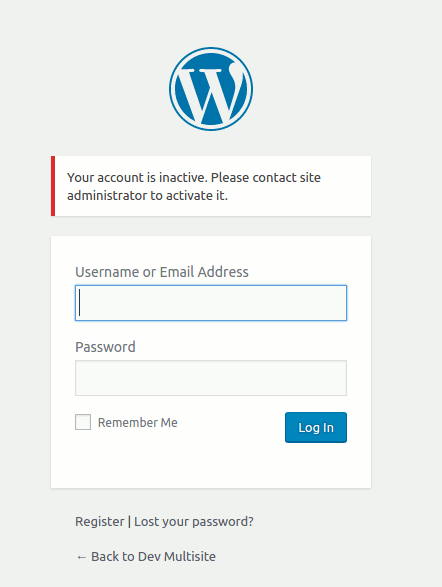 This plugin can also be used to block users from logging to a BuddyPress site. 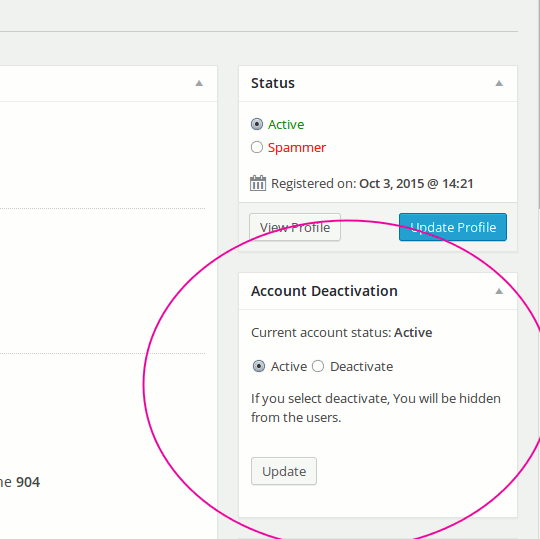 Option to automatically logout on deactivation(User will be logged out from all devices/sessions). 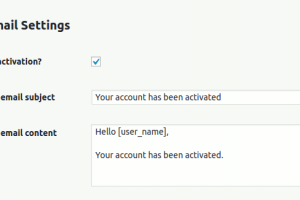 Option to send email notification to site admins and users on account activation/deactivation. 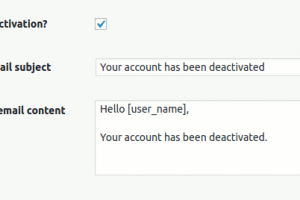 You can use this plugin to let users activate/deactivate their account or as a tool to block users from your site. 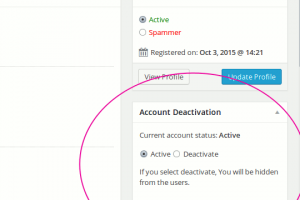 The deactivated user can not perform any action unless their account is active again. 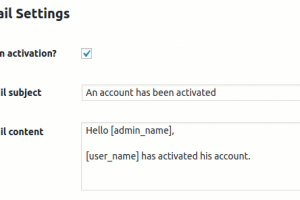 Deactivated users can not login(If admin enables this option). 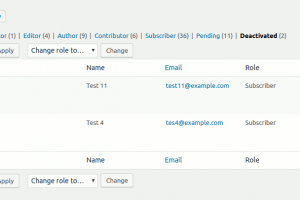 This plugin will work if you have BuddyPress Settings component enabled. 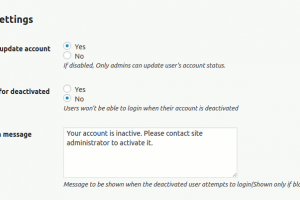 If admin has allowed users to activate/deactivate their account, a user can deactivate/reactivate their account by visiting settings page from their profile. 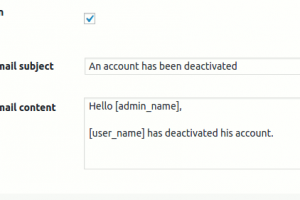 The BuddyPress deactivate account plugin provides simple api for activating, deactivating account and checking the status of the account using a few lines of code. The benefit of using is_logged_user_inactive() is that it stores the state in a static variable and repeatative calls are inexpensive. 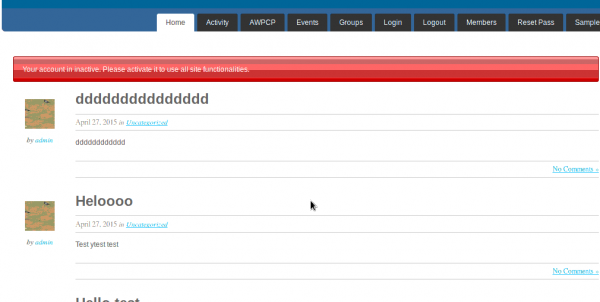 The benefit of using is_displayed_user_inactive() is better performance on repetitive calls. The following css classes are added on ‘body’ element based on user status. You can use it to target and style specific elements if you wish to do so.